We thought we would let you in on a little secret, other countries celebrate their own versions of Thanksgiving too. They may not happen during November, but there are many vibrant, culturally rich harvest celebrations happening the world over. The Papilia team hand-picked five harvest festivals for you to check out. Who knows... these could be a great conversation starter around your dinner table this Thanksgiving. HOMOWO Festival is the Harvest Festival celebrated by the Ga people from the Greater Accra Region of Ghana. Traditional priests sow millet in May and upon sowing the millet, the priests proclaim a thirty-day ban on drumming throughout the land. Oral tradition says that severe famine broke out among the people during their migration to present day Accra. When their hunger ended and with great joy they "hooted at hunger" and this is the meaning of HOMOWO. In Britain, a successful harvest is celebrated by singing, praying, and decorating the churches throughout the country with food and fruit baskets. This is a tradition that has been celebrated since pagan times. They are traditionally held on the Sunday closest to the Harvest Moon. Some churches will use this time to teach school children and community members about the harvest process, and farming fruits and vegetables. Tết Trung Thu, as it is known in Vietnam, or the Mid-Autumn Moon Festival as we refer to it in America, is a wonderful, ancient (we mean ancient, it dates back 15-20,000 years) festival that revolves around children. It is one of the two most popular Vietnamese holidays. Tết Trung Thu is like a combination of our Halloween and Thanksgiving. Children parade on the streets while singing and carrying colorful lanterns of different sizes. It is said that originally, the Mid-Autumn Moon Festival came about as a way for parents to make up for lost time with their children after harvest season. It was held under the full moon, which represents fullness and prosperity of life. Sukkot or "Feast of Booths"
Sukkot, a Hebrew word meaning "booths" or huts," refers to the Jewish festival of giving thanks for the fall harvest. The festival is marked by several distinct traditions. One, which follows the commandment to dwell in booths literally, is to erect a sukkah, a small, temporary booth or hut. Sukkot (the plural of sukkah) are traditionally used during the seven-day festival for eating, entertaining, and even for sleeping. This festival also commemorates the 40 years of Jewish wandering in the desert after the giving of the Torah atop Mt. Sinai. 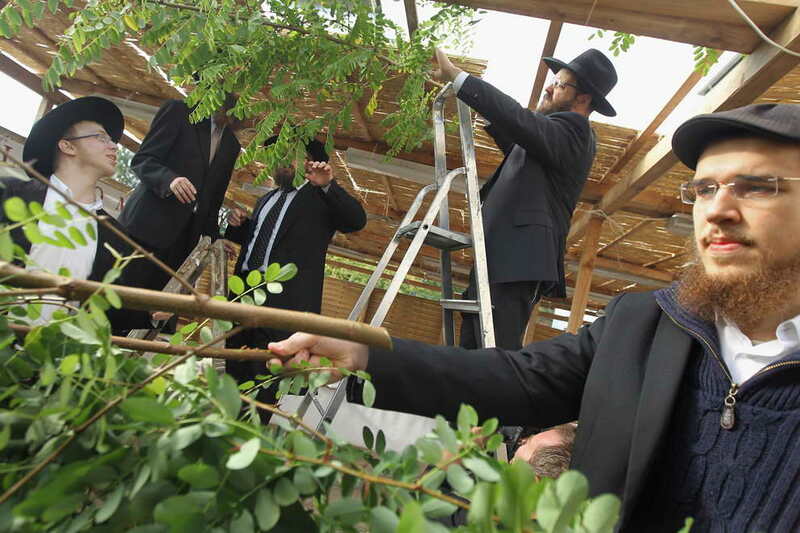 Sukkot is celebrated five days after Yom Kippur on the 15th of the month of Tishrei. Diwali is a contraction of the word Deephavali and means 'row of lights' in Sanskrit. The festival originated as a harvest festival. It is India's biggest and most important holiday of the entire year. Historically Diwali marks the end of the harvest season each year and takes place in either October or November. It is widely celebrated and there are many different traditions depending on where you are in the world. One common tradition is to place small clay oil lamps (or diyas) on the outside of homes, shops and offices throughout the five-day affair to celebrate. Does this destination inspire you?